The Marine Corrosion Laboratory is a unique facility for research, development, testing & evaluation (RDT&E) in the field of marine corrosion. This lab is an integral part of Makai’s larger Ocean Energy Research Center. Since 2009, Makai has invested millions of dollars in capabilities at this facility for extensive RDT&E on marine engineering and coatings technologies. We provide unique laboratory services in materials testing for the U.S. Navy and industrial clients. Aluminum corrodes in two ways: uniform corrosion and localized (pitting) corrosion. Uniform corrosion is a relatively slow reduction in metal distributed across the entire surface in contact with seawater, much like one sees on a rusting steel plate exposed to a mild marine environment. Pitting corrosion, in contrast, is an unpredictable, sudden and rapid attack of the metal at a single point on its surface. 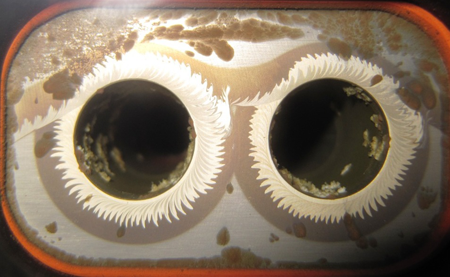 Makai provides extensive research in corrosion and biofouling mitigation. Makai provides two types of support: providing research services as the principal investigator; or supporting client-led experiments at our lab. Intake pipes reach depths of 25m to 915m (80ft to 3,000ft) with seawater temperatures ranging from 4°C to 27°C (39°F to 81°F). Located in Kona, on the Island of Hawaii, this unique facility is ideally suited for marine-related materials evaluation due to its pollution-free, non-estuarine environment, stable tropical climate throughout the year. Deep and surface seawater is pumped to the facility from some of the world’s largest and deepest seawater intake pipelines, providing direct access to the corrosive environments experienced by offshore vessels and equipment. samples in order to provide real-time data for our remote clients. 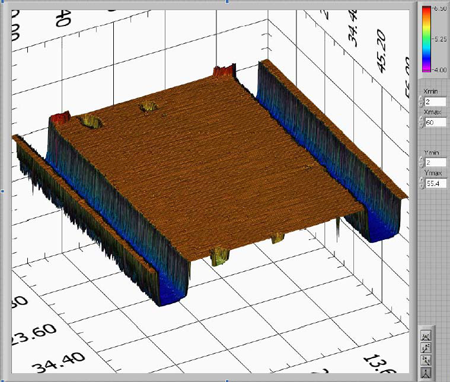 Makai uses traditional and novel methods to measure corrosion rates. Unique to Makai’s lab is a state-of-the-art Automated Corrosion Measurement System (ACMS). 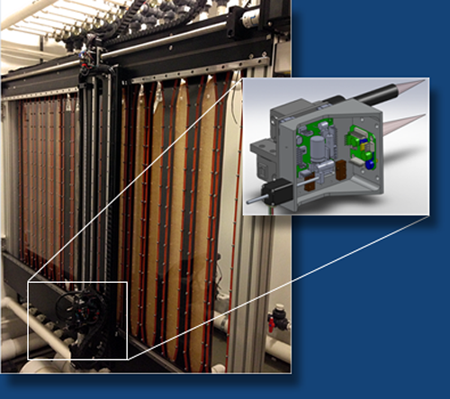 This system takes long-term measurements of corrosion samples non-destructively and continuously while in-situ – without removing them from the rack. Implementing an automated pit recognition routine is possible with Makai’s image recognition software capabilities. Clients can monitor hundreds of samples remotely (over the web) and efficiently, reducing human error, travel time, and labor cost. the diameter and depths of distinct pits. Scans weekly until onset of corrosion, then frequency adjusted.